Spod jakiego znaku zodiaku jesteście? You are so pretty and the colours look awesome on you. I always like white, it is such a pure colour and red goes perfectly well with it. Stunning! The contrast of the red & white with the background view from the bridge is striking! You look so stunning, I love the red! The red and white are really striking. I love the close-up photo of the roes. This is such a pretty outfit and I’m absolutely in love with your shoes!! I love the contrast of red and white and I am in love in this gorgeous white dress! You look gorgeous! 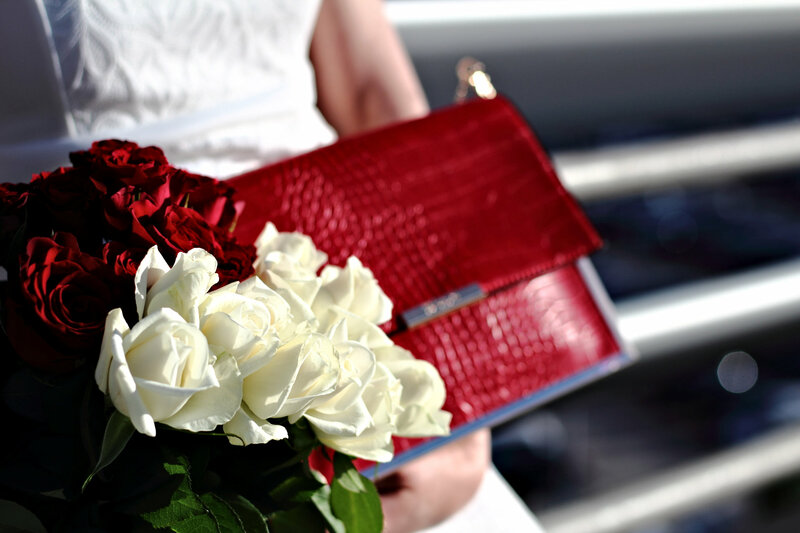 These white and red roses are perfect addition to all your outfit! LOVE that outfit! You are workin it girl! 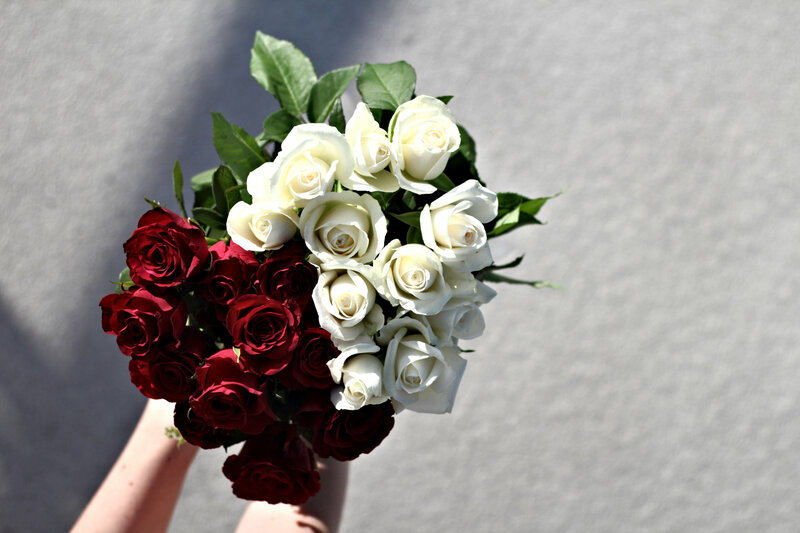 Wow I love the combination of white and red and how you combined this with the bad and the flowers! So pretty! This is a super cute outfit and you look great in it. Love this amazing 60s style white shift dress its so pretty. I adore the red accents and yes red is a colour all about passion and life. I like Coco Chanel quotes and loved your entire outfit! My zodiac sign is Aries! Stunning pictures, the bright contrasts work really well. This look is just perfect casual and chic at the same time. you look gorgeous !!! Cute dress and I love those shoes! The red purse goes well with the look! i love this match between very bright white and deep red. The suit rocks! I really love the all white look but it’s hard to pull off… Love that you paired the dress with semi casual shoes. The red bag gives it a nice pop of color. Love Coco Chanel a legend. Love your outfit is being styled amazing and it looks fab on u. White is one of my favorite colors. 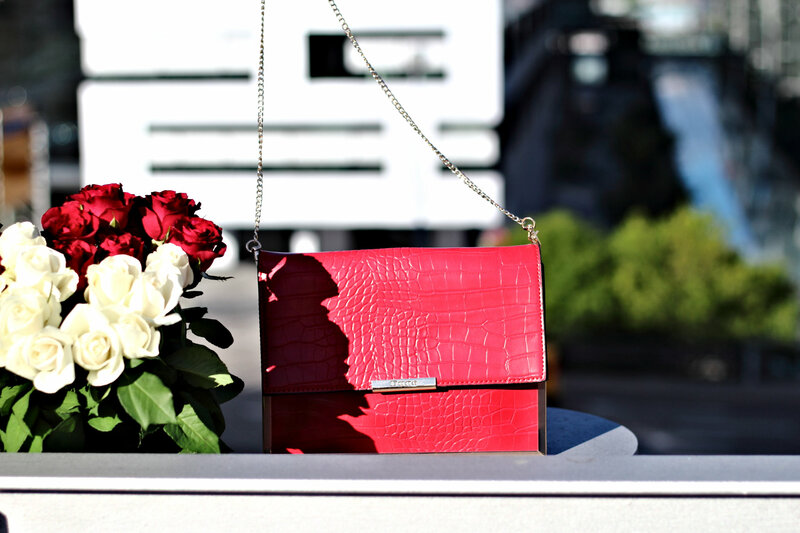 I loved that you combined it with a red bag. It suited perfectly on you! Such a cute outfit! I love the contrasting colours and it’s such a summery look. 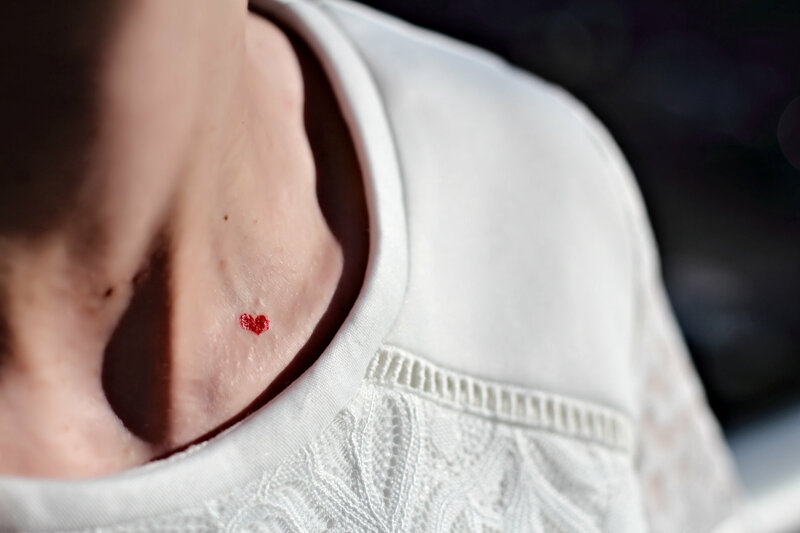 My wife fell in love with that little red heart. she is getting one made for herself as a tattoo now. That dress is such a perfect fit and style on you, love the pop of red. You look lovely babe. Love the outfit so much! It’s perfect for spring/summer. And that color on the purse talk about awesome!